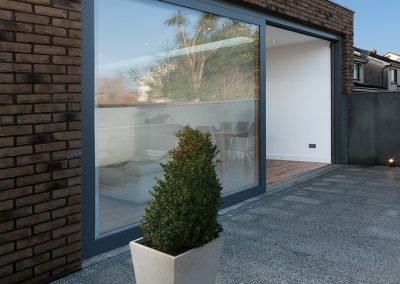 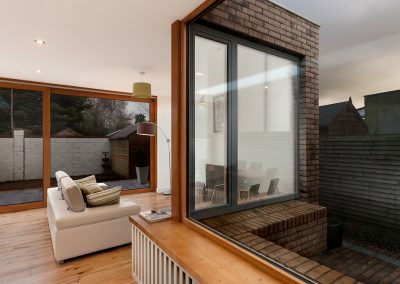 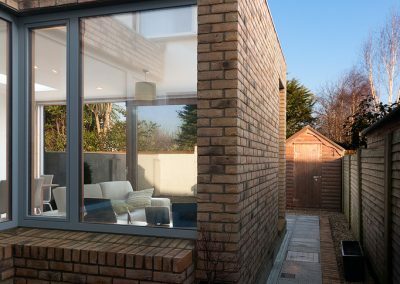 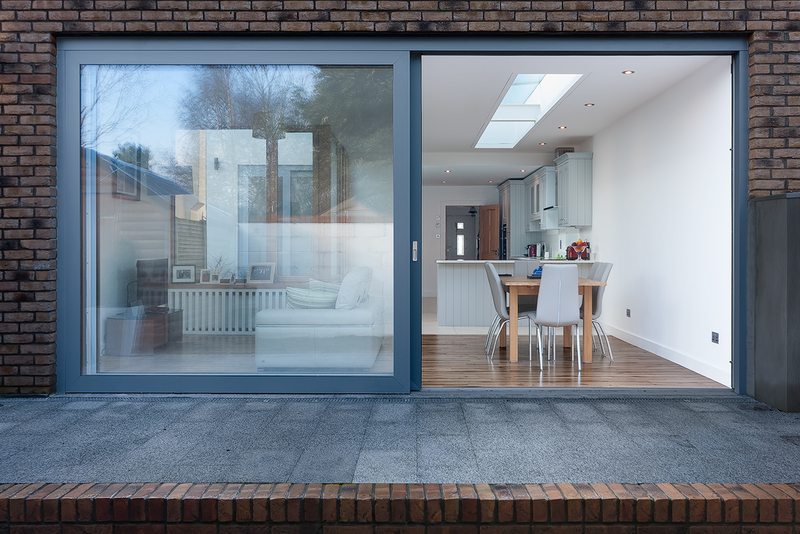 A simple flat roofed brick extension designed to add an open plan living space to the existing property. 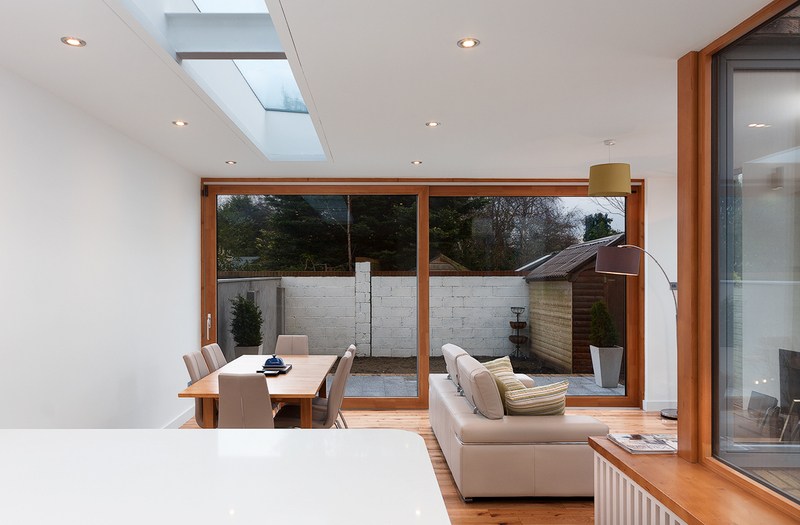 The design is simple in form creating well proportioned internal and external spaces. 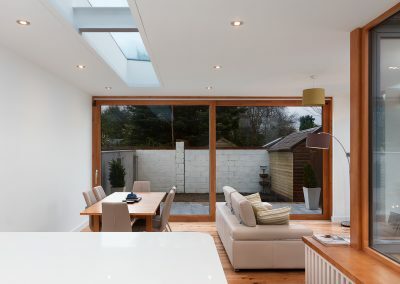 Good detailing gives the extension a uniformity and harmony. 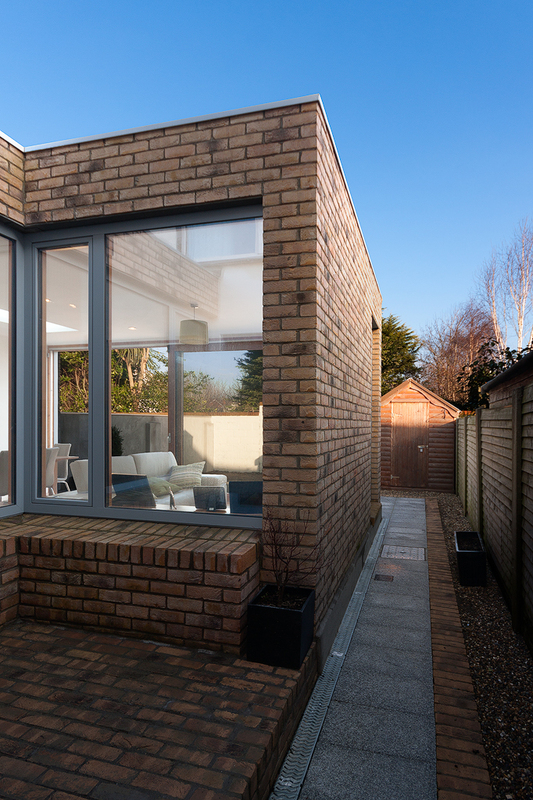 A brick clad exterior skin wraps down to form an external seat and brick patio to the side courtyard. A window seat is also created internally and slat timbers hide a radiator and storage underneath. 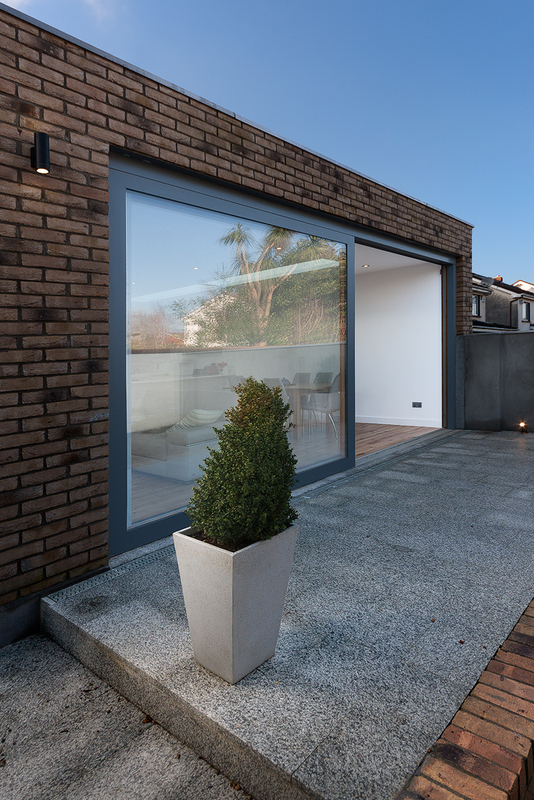 Alucald window frames were used. 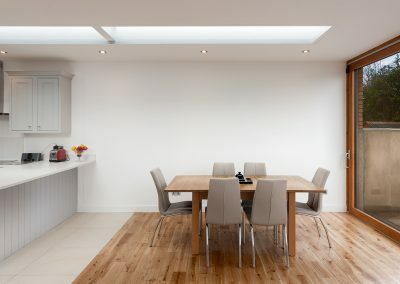 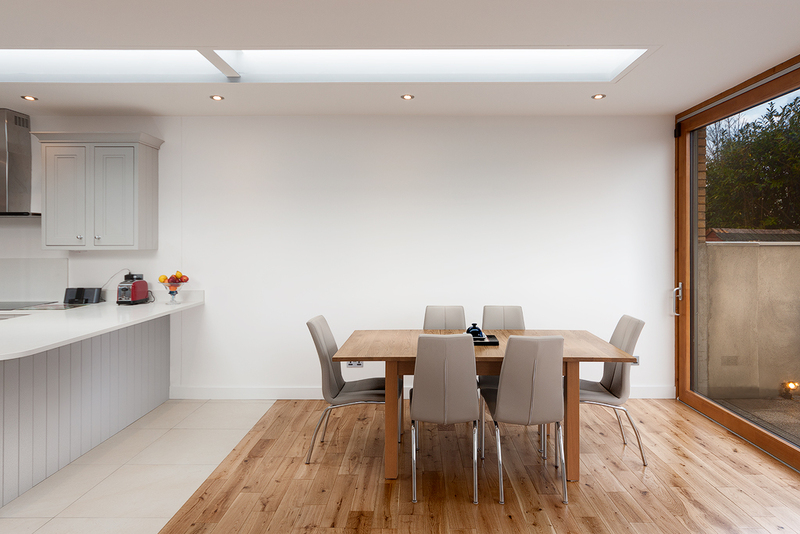 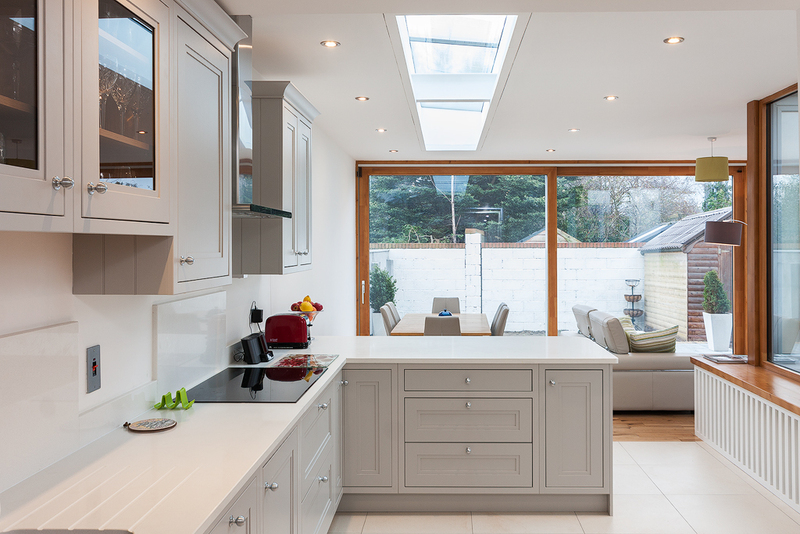 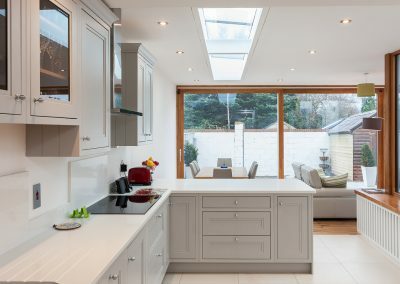 A rooflight brings light deep into the space.